This website is hosted by Carleton Rode Jubilee Hall and is intended to provide information about activities at the hall and in the wider community of Carleton Rode. The hall can be contacted via email - crjubileehall@gmail.com - or via the facebook page - Carleton Rode Jubilee Hall. The headings at the side should either take you to a page with more detail of specific groups or events or to other websites. As a result of four persons only being nominated for election to Carleton Rode Parish Council there are THREE vacancies. These vacancies can be filled by co-option by the four members of the Parish Council. The four members who are returned to the council are Mr. Jamie Chandler, Mrs. Susan Dennis, Mr. John Laurie and Dr. Barbara Slater. The matter of co-option will be considered at the Parish Council’s annual meeting on TUESDAY, MAY 14, 2019 at Carleton Rode Village Hall at 7.30 pm. The next Parish Council meeting will be on Tuesday 14 May 2019, 7.30 p.m. in the village hall. 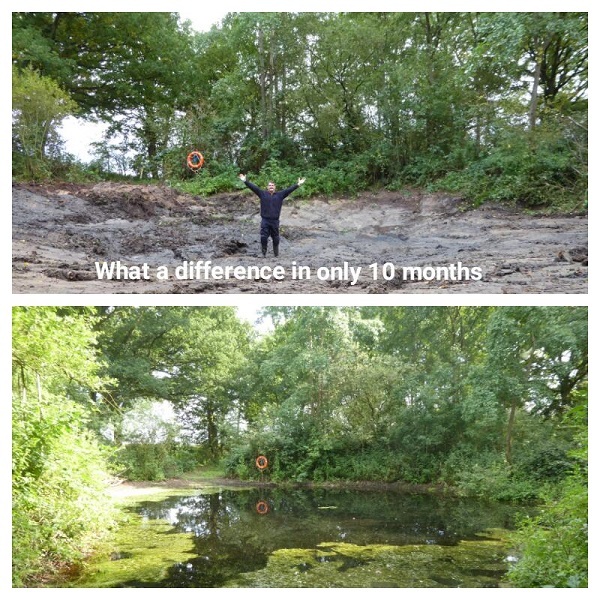 And a favourite photo from Fir Covert Community Wood showing the pond immediately after dredging and some months later. 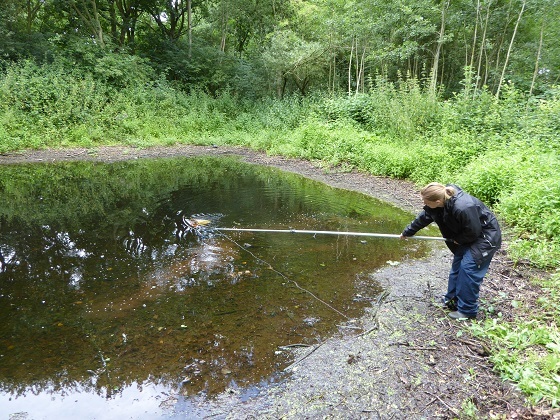 The bat survey in the summer showed that the revived pond is popular with the bats! Following the meeting on 29th November 2017 at South Norfolk Council, the recommendation of the Governance Review Committee is 'no change' to the existing boundary between Carleton Rode and Bunwell. This has now been confirmed. Breathe easy, residents of Carleton Rode! 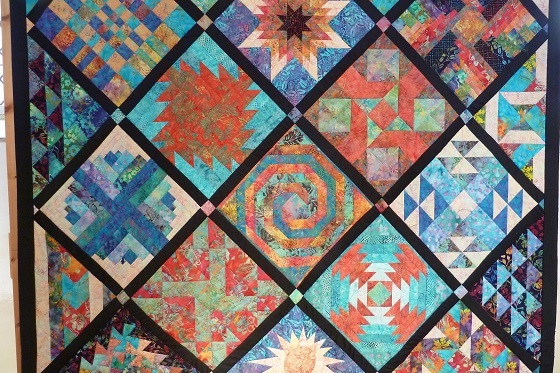 October 2017's exhibition of quilts and flowers was stunning! There are a few photos on the gallery page. The Fir Covert Community Wood page has information and photos on progress so far in 2018. The pond has refilled after dredging and life is returning to it! The photo below is from 2017 and shows the first test for pond life. 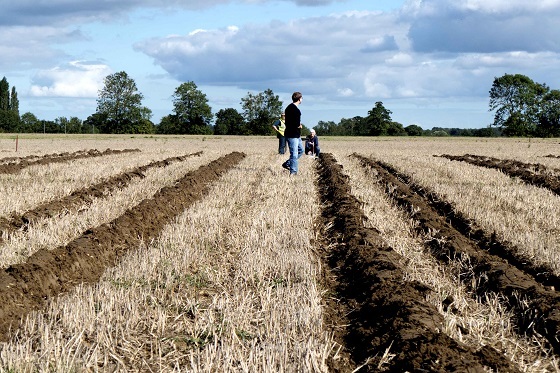 The drawing match (that's a bit like a ploughing match, but prizes are awarded for the straightest single furrow) had to be postponed in 2016 due to the awful weather. 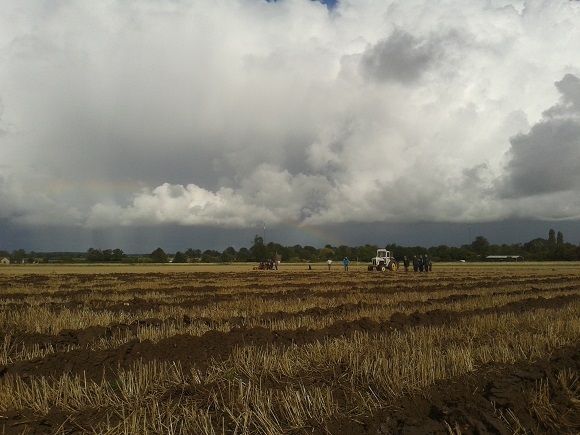 The drawing match in 2017 went ahead under impressive clouds, but escaped the worst of the rain. 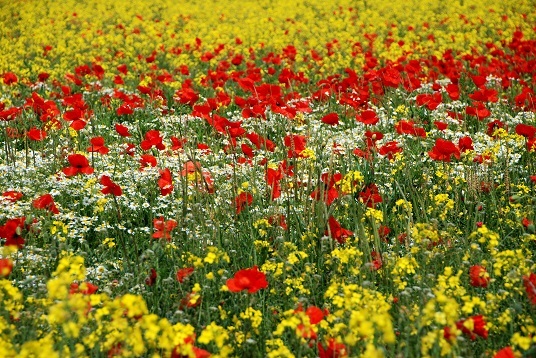 The picture below shows you how lovely the weather can be at this time of year. Carleton Rode is situated approximately five miles south-east of Attleborough. 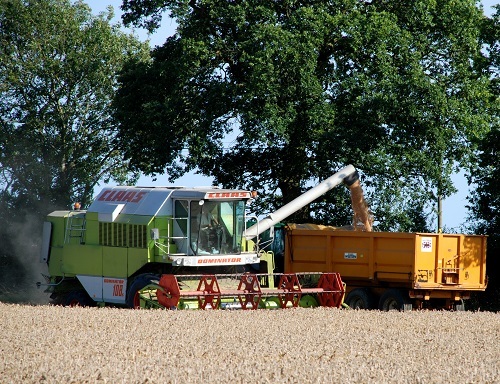 There is easy access from the village to the market towns of Attleborough, Wymondham and Diss, and via the A11 to Norwich. There are supermarkets in all the market towns, and Norwich has excellent shopping and entertainment. The village is mentioned in the Domesday Book (1086) where it is listed amongst the lands given to Roger Bigod by the king (William the Conqueror). The manor included 30 acres (12.14 hectares) of land and two churches. 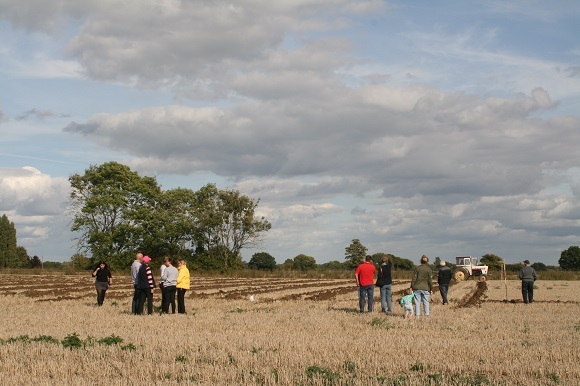 Archaeological surveys over the past few years have shown that the oldest part of the village (around Rode Lane/Flaxlands) dates from Saxon times and that following the Black Death (1346–53) the centre of the village shifted towards the church. From 1808 to 1814 Carleton Rode hosted a station in the shutter telegraph chain which connected the Admiralty in London to its naval ships in the port of Great Yarmouth. Telegraph Farm on Upgate Street is named for this. The present-day population of the village is around 730, occupying around 300 dwellings, and the village boundaries enclose an area of around 1091 hectares, or 4.21 square miles. It is still largely a very rural farming community, but with a significant self-employed and small business population. Recent development has tended to comprise barn conversions rather than new-build housing. 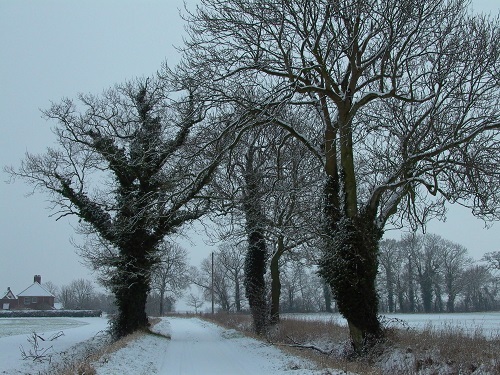 Two small sites have been identified as providing space for the additional housing required by the current local plan (South Norfolk Council). The last pub in the village closed in the early 1980s and social life today focuses around the village hall and social club, the church and the Baptist chapel. Neighbouring Bunwell has a general store, incorporating a post office, and butcher’s shop. For further information follow the links on the right.